Arguably, nothing changes without learning. There’s no progress, no growth, no improvement without it. As the saying goes, “Those who fail to learn from history are condemned to repeat it.”* Any development endeavor that seeks to be better/faster/more must include learning in its process, and taking a lean startup approach to business is no exception. If lean startup is all about rapid product iterations closely focused on user needs and requirements, then validated learning is that part of the process by which we learn just how close each iteration is to satisfying the people we’re building it for. In fact, inventor of the lean startup approach, Eric Ries, has described validated learning as, “the unit of progress for lean startups.” In other words, for a lean startup, success is not so much measured by the number of units you manufacture but by the measurable responses from your target users. Ries himself derived the idea from Steve Blank’s concept of customer validation, that the basic ideas underpinning your product or service should be tested with users, and tested early on in the process, and with the minimum possible effort. Going back to the user responses, the key word is “measurable”. Validated learning is quantifiable, based on data such as revenue, user engagement, and feedback. The result is learning that is evidence-based and actionable, leading to genuine product improvements in each iteration. Done properly, validated learning is remarkably efficient. Faster development – when the feedback and learning mechanism is more focused, your startup’s product approaches its final ‘release state’ more quickly. Actionable metrics – by basing the learning on measurable data and metrics, the final product version will be more closely aligned to user needs. Reduced costs – better learning means faster, more efficient development, which in turn means less time and resources wasted on your development journey. 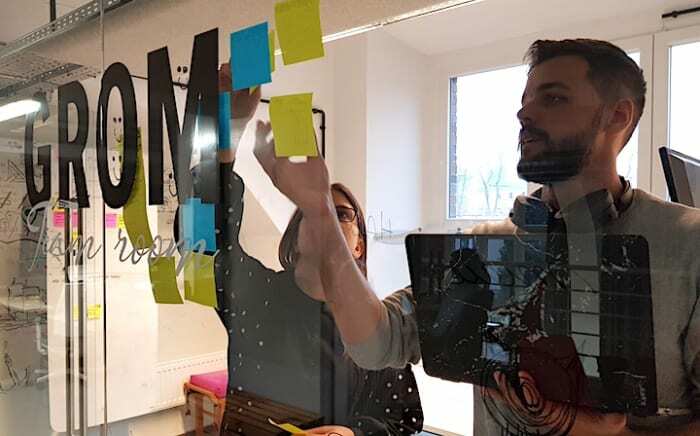 More agile – the validated learning approach facilitates agile working and rapid development of MVPS, making you more flexible as an organization. A good example of the value of validated learning was the work we did with POLCO, a US-based initiative to build an online platform allowing people to vote, offer opinions, and comment on government policies, in turn allowing policy makers to gather real-time feedback from citizens. The validated learning testing we conducted was part of developing the platform in clear developmental stages. First, testing the first MVP with Harvard University students gathering crucial usability data and interface feedback for over two months. The next significant test was to launch a local pilot in Austin, Texas which led to further learning and changes before the wider rollout to users. How does it help to build scalable products? In an age of potential rapid growth, products must be scalable. In the development process, you’re not only focused on today’s user needs, but also tomorrow’s. If the features and/or capacity of your product are fixed then you have designed a dead end. A genuinely successful product can grow with the market needs. And this is where validated learning is critical because validated learning is what keeps you alongside those needs, understanding them and anticipating them. The lean startup product design process begins with ideas, often many of them. And each idea is a potentially different direction in which to take the product. Validated learning allows you to take small steps in each direction and test it, quickly checking whether your assumptions/information about the market are correct or not. 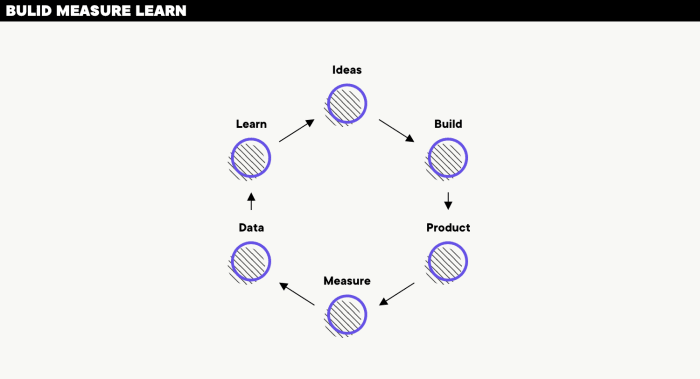 A useful way to look at the lean startup product development process is as a series of experiments, each resulting in specific and valuable learning. You have an idea and you need to test it. Testing is done by creating an MVP and then seeing how it stacks up against user needs and wants. The feedback from this ‘experiment’ is then used to further refine the idea and the MVP, and then you test again. And so on, using the results of validated learning to continually improve your product – and by “improve” we mean, make more attractive to users. A hypothesis is something you believe about your target audience and/or product that needs to be tested. A good hypothesis is specific, measurable and provable (either as true or false, the experiment will decide). The need to test this hypothesis led us to develop MVPs of two websites, one for Boldare as a product development company and the other as a software development company. A metric is how you measure your hypothesis. It should be directly related to the product and its purpose (boost sales, increase your online community, make the world a better place…?) and therefore help you in the development of a successful product. These more specific, more measurable statements could be easily tested. Implement your idea/improvement – but do so with the minimum amount of investment and effort; it’s called an MVP for a reason! – and gather data and feedback from users. EXAMPLE: In our example, the five sub-hypotheses were tested via a series of scripted interviews with users. Examine the data relating to the metric. Which elements of your hypothesis have been proved and which have not? What learning have we gained? What further changes could be made? Is this direction worth pursuing (is it helping achieve the purpose of the product?) or do you need to pivot, change the direction of the development to more closely address user requirements? EXAMPLE: Our results for sub-hypotheses #1 and 2 showed that the product offer was ‘safe enough to try’ but the software version received a less favorable response, as shown by the results of testing #3, 4 and 5. Return to step #3, make the indicated changes and measure again. Repeat as necessary. Remember, you’re experimenting. And the purpose of an experiment is to seek knowledge and learning: Is your hypothesis true? Does the product-so-far meet user needs? One advantage of this validated learning process is that it offers to cut through a lot of pointless debate. Often, people are attached to their own ideas, believing their solution is the best option. But until you test that solution, that belief is just opinion. By using validated learning, you can determine the best solution/direction for development based on the real-world reception of your hypothesis. Put simply, validated learning is the practical aspect of the basic principle of the lean startup approach. By repeatedly testing and validating your product ideas with the target audience, you can hone your product with maximum efficiency and minimum effort, reducing the possibility of committing to a dead end development. In other words, test before you invest.